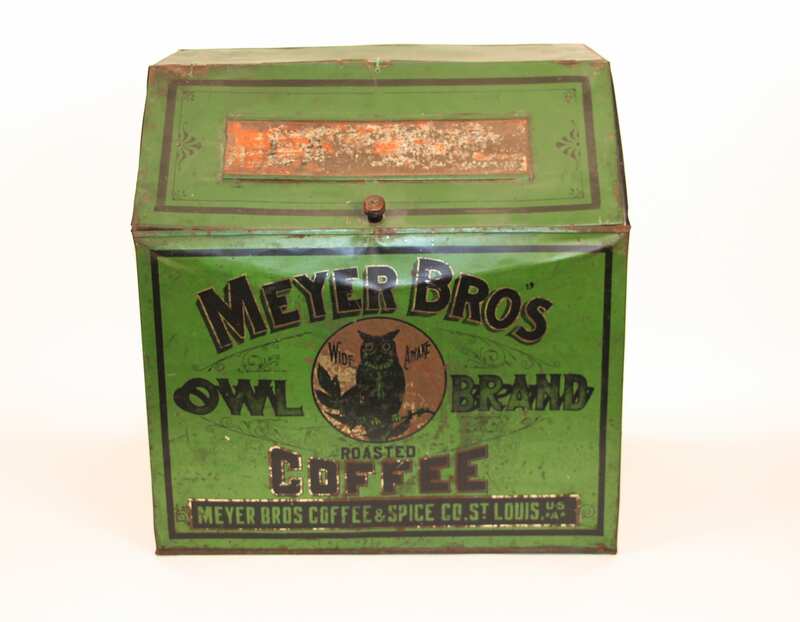 Circa 1910, This Meyer Bros Owl coffee storage bin is one of a series of different colors distributed by the Meyer Bros Owl Coffee and Spice company in Saint Louis. 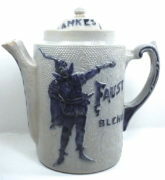 Missouri. 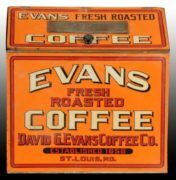 Along with this green coffee storage box, there is also a red, blue, yellow, and orange version to this series. 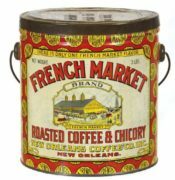 All of the store bins from the Meyer Bros Owl series look the same other than the color of the tin with some minor graphic variations on the side of the tins. 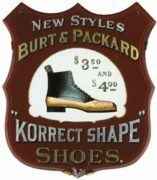 This brand was one of the larger brands at this large company in the early 1900s. 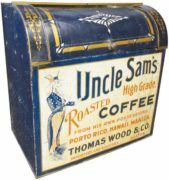 These large coffee storage bins displayed in general stores were over two feet wide and two feet tall and held up to 75 pounds of coffee. 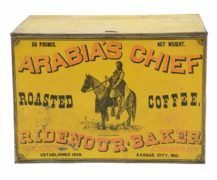 Coffee tins were used to package the coffee and considered a way to keep the coffee clean in comparison to food offered in bins or barrels when people would use their hands sometimes to scoop it out.